Australia will soon have a new national park. The Abrolhos Islands, off the coast of Western Australia, have long been known by seasonal fishermen and shipwreck-loving scuba divers. Few others had even heard of the islands in the Indian Ocean, though. That should change quickly as campsites, floating hotels, and regular ferry service are established. 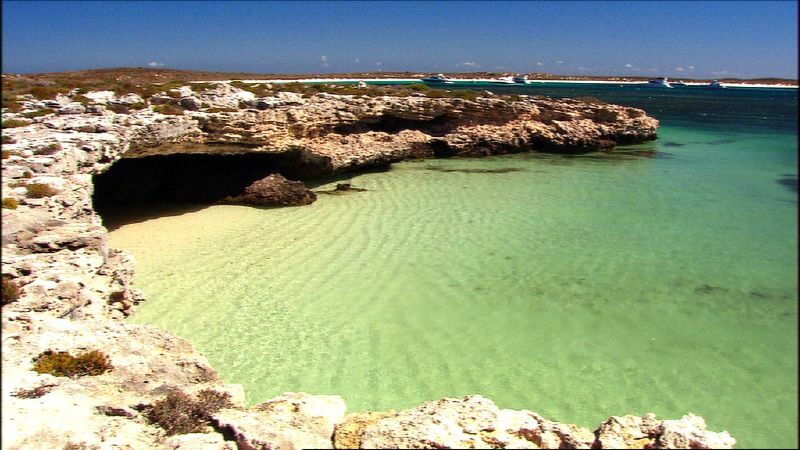 There are more than 120 islands in the Abrolhos chain. They lie 50 miles west of Geraldton, which is north of Perth. The largely coral islands, surrounded by the Indian Ocean’s southernmost coral reef, were first sighted by Dutch sailors in the early 17th century. Those now-famous shipwrecks were the only reasons for which the uninhabited islands were known in the centuries that followed. Breeding seabirds, Australian sea lions, and Abrolhos dwarf bearded dragons had the islands mostly to themselves. That started to slowly change in the 1920s when fisheries were established. What started with rock lobsters and campsites grew to include black-lip pearl oysters, finfish, and saucer scallops, plus permanent buildings. Day trips were created for snorkelers, scuba divers, and deep-sea fishermen, as well. But tourists were never allowed to spend the night. When 90 percent of the islands’ land becomes a national park, you’ll be able to explore the Batavia, which sunk during its maiden voyage in 1629, and the Zeewijk, which crashed into the Half Moon Reef in 1727. You’ll be able to snorkel with green sea turtles, crown-of-thorns sea stars, and lots of moon wrasses. Then you’ll be able to watch small tammar wallabies hop around when you stay overnight on the remote islands. It’s only a matter of time.